Often, when I hear of a new winery or one that has just renovated its facility, I become a bit suspect. In most cases these wineries are going to make wines that are international in style and not to my taste. So when I was invited to taste the wines of Domodimonte at Eataly I noted that the winery was started in 2003 and built a new facility in 2010. Was I going to be wasting my time tasting wine that I did not like and could not write about? Curiosity got the better on me and I accepted the invitation. As it turned out, I was very glad that I did. Not only did I like the wines but found the tasting interesting and informative. 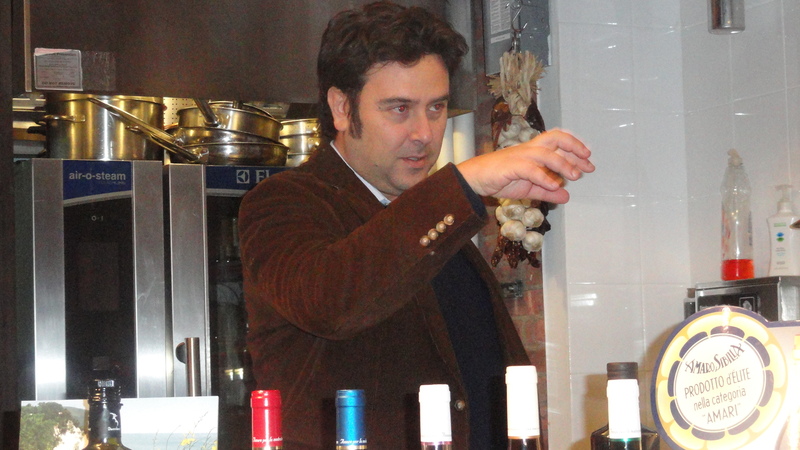 The speaker was Niccolo Salvadori, the general manager of the Eataly wine store. He said that the winery was located at Montefiore dell’Aso in the Marche. Marco Scapagnini, sales and marketing manger from the winery, assisted him. Mr. Scapagnini began by saying that they were not a certified organic winery but a “natural” wineey. What makes it “natural” is that the grapes are sustainable-grown using organic matter, low–yielding vineyards and the grapes are hand picked. No sugar is added to the wine. There is a strict selection of yeast and there are no additives made for color, acidity, mouth-feel, etc. The addition of sulfites is kept to a minimum and they use of state-of-the-art technology. The new winery built in 2010 was designed to generate the least amount of visual and ecological impact on the land. He added that they exceed the rules and regulations of organic farming. Offida Passerina “Déja” DOC 2010 100% Passerina the vineyards are at 200 meters and have a southern exposure. There are 3,000 vines per hectare. The training system is cordon with spur pruning. 80% of the grapes are picked at the beginning of September and 20% are picked a little later. In answer to a question about sulfites in their wines Mr. Scapagnini responded that their entire wine making process is performed under nitrogen and they use cryomaceration, a process with very low temperatures, 2-5 degrees C to ensure protection against oxidation. 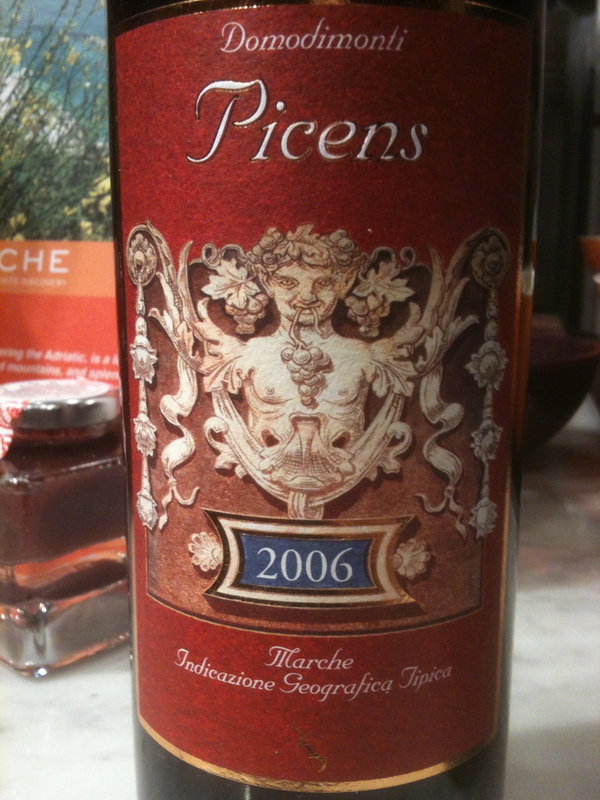 Marche Rosso “Picens” IGT 2006 The wine is made from 25% Montepulciano, 25% Sangiovese 25% Merlot and 25% Cabernet Sauvignon. The vineyards are at 250 meters and the soil in mainly clay. The vineyards are south facing, there are 4,000 vines per hectare and the training system is Condon with spur pruning. The harvest is from the end of September to the middle of October. The wine is aged in second passage French barriques for 5 to 6 months. Marche Rosso “IL Messia” IGT 2007 60%Montepulicano and 40% Merlot. The vineyards are at 250 meters and the soil is mostly clay. These vineyards have a southern exposure, there are 4,000 vines per hectare and the harvest takes place in the end of September and the beginning of October. The Montepulicano is aged in French barriques, which are 3 years old. The Merlot is aged in special troncoconic vats. This type of vat is tapered on the top and smaller in size than the bottom. It allows for the increase in contact between the juice and the skins during fermentation and maceration, which results in the extraction of softer and sweeter tannins. I should have remembered an old saying that I often use, “do not judge a winery until you taste their wines!” I enjoyed tasting the wines very much and look forward to drinking them. In addition, the wines were priced very well. After the wine tasting there was a presentation by the Varnelli Distilleria from the Marche of their amari and other spirits. Varnelli is a family run business (run by four women) and Orietta Maria Varnelli, C.E.O. and export manger was the speaker and told us about their line of spirits. She said they were most famous for their L’ Anice Secco Speciale. 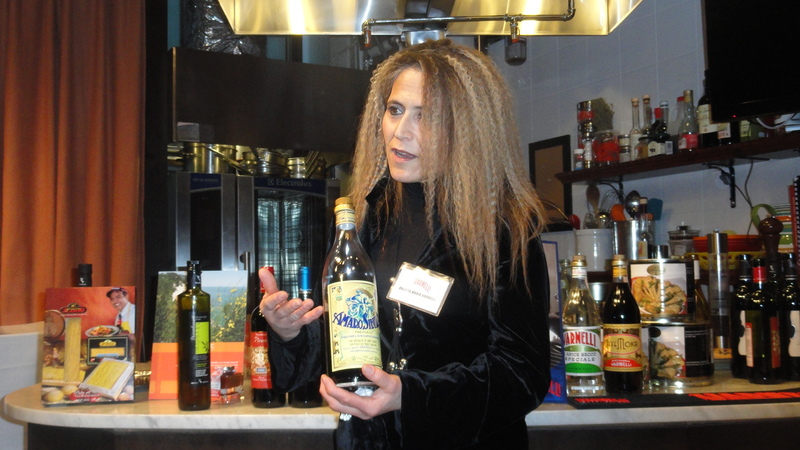 We tasted the Amaro Sibilla on the rocks with Lurisia Gazzosa, a fizzy lemon drink made from Amalfi lemons and a slice of orange. It has aromas of bitter herbs and dried fruit with hints of coffee and honey. On the palate it is bitter and tannic with touches of chestnut, honey and coffee. It is a perfect amaro to have after a meal. I like it neat! The ingredients are of course a family secret. 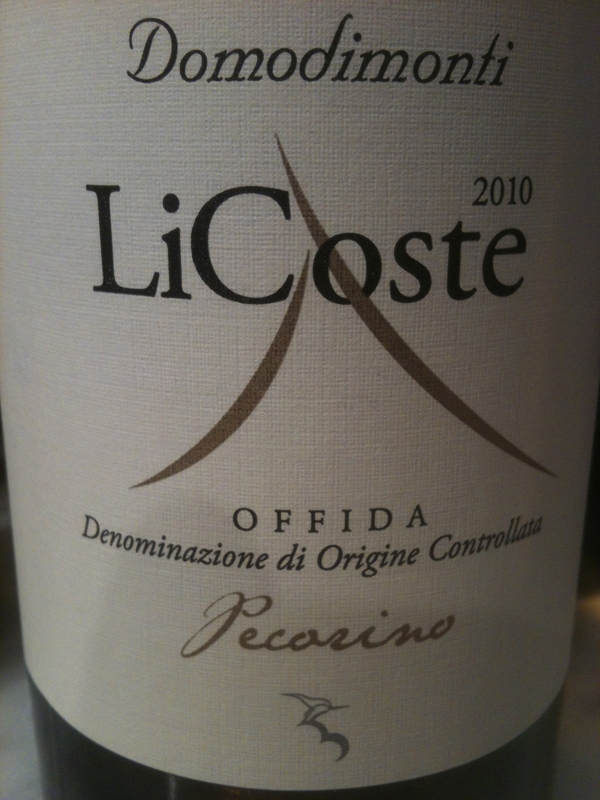 One or two producers in Sicily are also using acacia wood for white wines. The problem is, I’m having a senior moment and can’t remember their names! Ciao Tom- Yes they are but are they barriques? Mr. Scapagnini’s statement “No sugar is added to the wine.” seems to me a bit bizarre. What exactly did he mean? Ciao Francesco I think that he means is that some producers if they cannot get the alcohol levels high enough they will add “sugar” to reach the right levels. Let me clarify that in Italy the addition of sugar is totally against the law. I am quite surprise that a producer give the impression that this happens. Ciao Francesco I think they just were listing the things that a producer of “natural wines” should do or not do. ” There is a strict selection of yeast.” Does this mean added yeast or ambient. I would assume by “strict selection” it means added or selected yeasts. I don’t know if wines that are madde with selected yeasts fall into the category of natural wines. 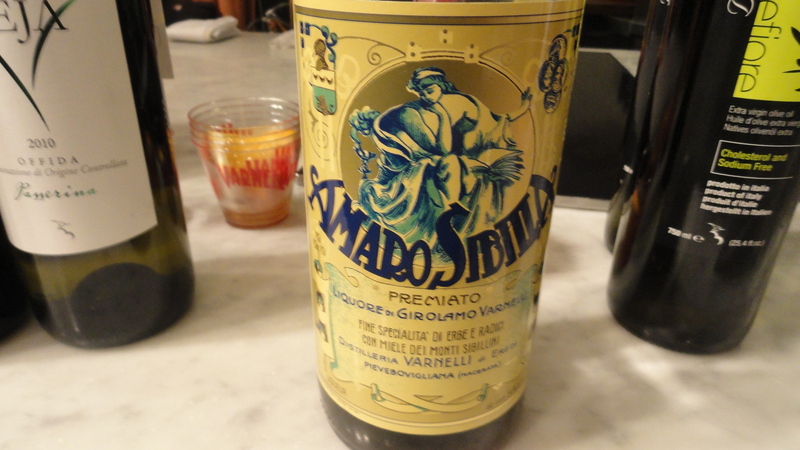 The Amaro Sibilla sounds amazing! Ciao Sara- They say it is a “strict selection of yeasts” I think that they add yeast. The term “natural wine” and what it means is a matter of debate. I have discovered that when I get headaches from drinking wine it is not from sulfites but from “selected” yeasts. Every wine that brings me down has them. I guess it depends o the yeasts. Pretty heavy comments on this blog post! I won’t add any. Thank you for the informative post and for sharing budget-friendly wines from southern Italy—I’m always on the prowl. So many wineries in Italy don’t want to spend the money required to become certified organic, yet so many wineries are in fact organic. It’d be nice if there were an easier way to identify wineries that use common sense practices in the vineyards. Hello … I have only just today learned about your blog and think it’s “spiffing”, thank you! 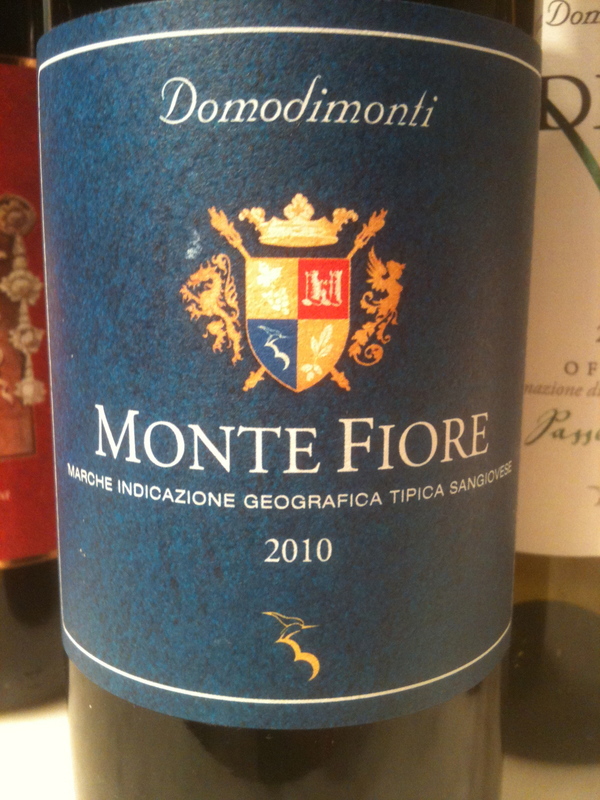 Re the Marche … my husband’s family come from a small town just across the valley of Montefiore dell’Aso (!) and we have spent many a summer holiday in the area. I would like to ‘segnalare’, as they say in Italian, a super-duper Marche winery, also not far from there (Ripatransone) which is all organic I believe. It is called “Le Caniette” and Giovanni Vagnoni and brother Luigino run it … Morellone is one of them and Nero di Vite another. Provare per credere, as they say in Italian.